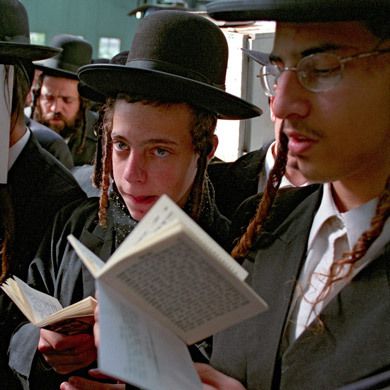 Every year, some 30,000 Hasidic Orthodox Jews travel from over 70 countries to the Ukrainian city of Uman, to celebrate the New Year by the grave of their leader Rebbe Nachman. But Nachman isn’t the only revered historical figure in this poor, post-communist place. One of the locals’ biggest heroes is Ivan Gonta, an 18th-century rebel leader who the Ukrainians believe freed their country, but slaughtered tens of thousands of Jews and Poles in his bloody revolt. 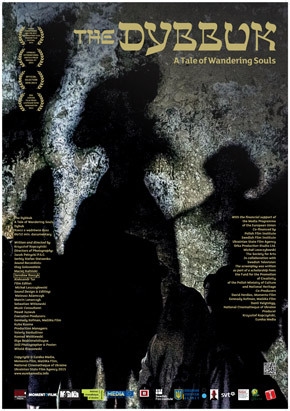 The Dybbuk – A Tale of Wandering Souls was shot in 2013 just before President Yanukovych was overthrown following demonstrations in Kiev. It depicts the mounting tension between the local population and the flocks of visitors to Uman. Striking symbols, including the statues of Jesus and of Gonta, as well as many properties in Uman purchased by rich Hasidic Jews, evoke aversion and heated confrontations. Filmmaker Krzysztof Kopczyński follows the pilgrimage 60 miles outside Uman, where Rebbe Nachman worked in the 19th century. Nowadays, an elderly Ukrainian named Volodya bridges the gap between the population and the visitors through his upkeep of a Jewish cemetery. Krzysztof Kopczyński, a Doctor of Humanities, university lecturer, during the martial law period he was an underground publisher. Since 1995 he has been a producer and director of documentaries. An owner of the Eureka Media company, author of books and articles on the media, film and culture of the 19th century and contemporary period. 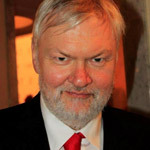 A coauthor of educational film projects Russia – Poland. New Gaze and Kabul – My City. He produced more than 130 films and TV programs that were shown in more than 30 countries and won more than 50 festival awards. Stone silence is his directing debut.